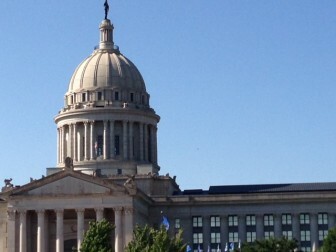 M. Scott Carter reports on politics, legislation and other issues from the State Capitol. The number of state inmates being kept in county jails has long been hard to track. A new law is aimed at making the count more precise. Gov. Mary Fallin this week signed into a law a bill that will require county officials to notify the Department of Corrections within three days after a prisoner in a county facility has been sentenced by a district court. House Bill 1630 also allows county officials to negotiate with the department to house inmates in the event that DOC facilities reach capacity. The measure, authored by Rep. Lisa Billy, R-Lindsay, and Sen. Don Barrington, R-Lawton, goes into effect Nov. 1. “Oklahoma inmates should be housed in Oklahoma prisons, where they can be securely held, receive access to educational and rehabilitation services, and get credit for time served,” Fallin said. Many of the prisoners held in county facilities could have been transferred to DOC custody and housed at a much lower expense, Fallin said in a media statement. She said DOC has in-house medical services available to inmates at a less expensive rate than those available to county facilities. The law also gives the counties the ability to hold inmates should a DOC facility reach capacity. Counties will have the right to negotiate with DOC before private prisons do over rates for housing prisoners. Last year, several county sheriffs complained after DOC removed prisoners from county jails. Sheriffs said the prisoner removal hit many county budgets hard, costing them hundreds of thousands of dollars in per diem payments. State law requires the DOC to pay county jails a per diem fee starting the day the inmate is sentenced. In fiscal year 2014, the state spent about $22 million to reimburse county jails for housing inmates. State lawmakers unveiled a fiscal 2016 budget Tuesday that would preserve funding for common education but cut appropriatons for colleges and universities.